Laphroaig, the Islay single malt Scotch whisky distillery, has released Laphroaig Select, the newest edition to the award-winning Laphroaig portfolio, distributed by Maxxium UK. 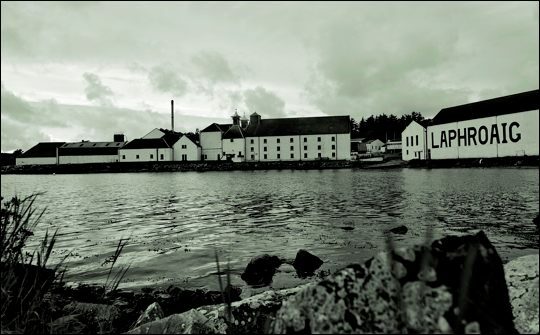 Laphroaig Select’s unique character is derived from the special selection of casks chosen for maturation. The heart of the spirit is drawn from a final maturation in new American Oak casks, rarely used for Scotch whisky. Representing a subtle blending of peat, oak and sweetness, Laphroaig master distiller John Campbell has selected the spirit from Laphroaig Quarter Cask, PX Cask, Triple Wood (European oak casks) and a final addition of 10 Year Old to create Laphroaig Select. Bottled at natural colour, the new single malt offers Laphroaig’s trademark ‘peat reek’ matched by an additional layer of complexity and depth brought about by the fusion of the maturation styles and different oaks. Laphroaig Select 40% abv is available in selected whisky specialists and retailers (RRP £34.99).